Clear images from the NASA/ESA Hubble Space Telescope have provided researchers with new insight into asteroid Gault’s unusual past. 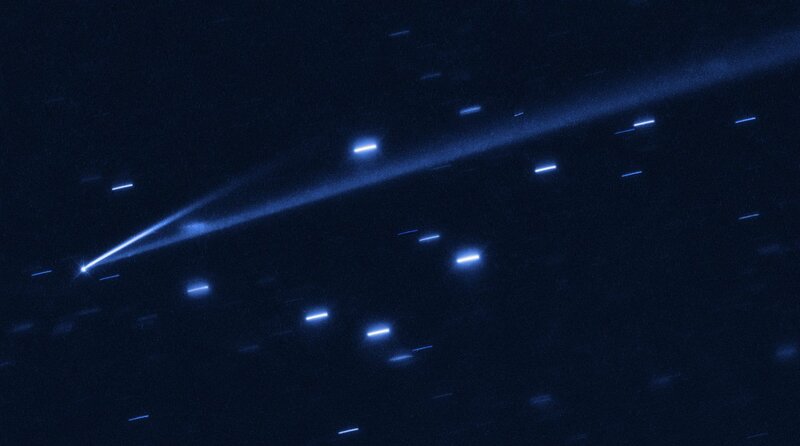 The object is 4–9 kilometres wide and has two narrow, comet-like tails of debris that tell us that the asteroid is slowly undergoing self-destruction. Each tail is evidence of an active event that released material into space.